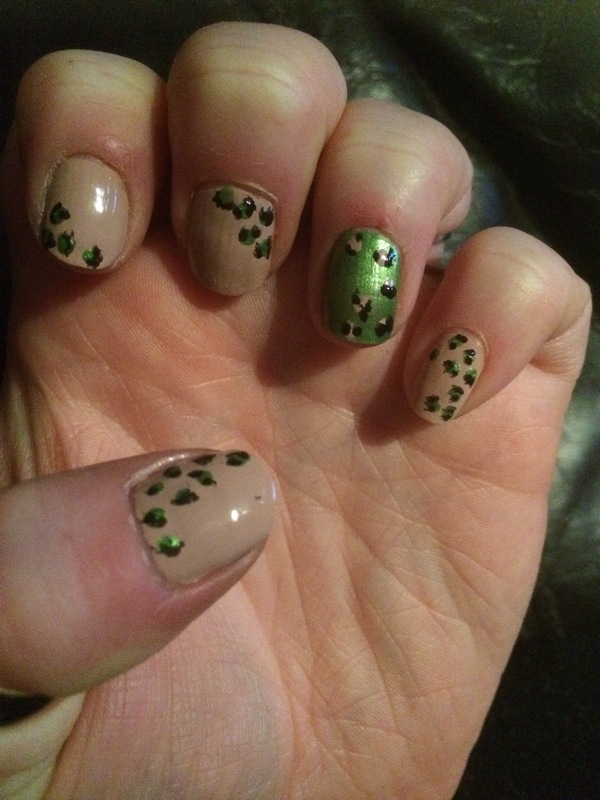 This week I was inspired by my wee sister, who is a mail genius, to try out leopard print nails. I’ve always loved the look, but doubted my precision prowess. Well, I finally decided to give it a try & it turns out it’s not hard at all. My first attempt was so successful that at the first sign of chipping I stripped & did it again. 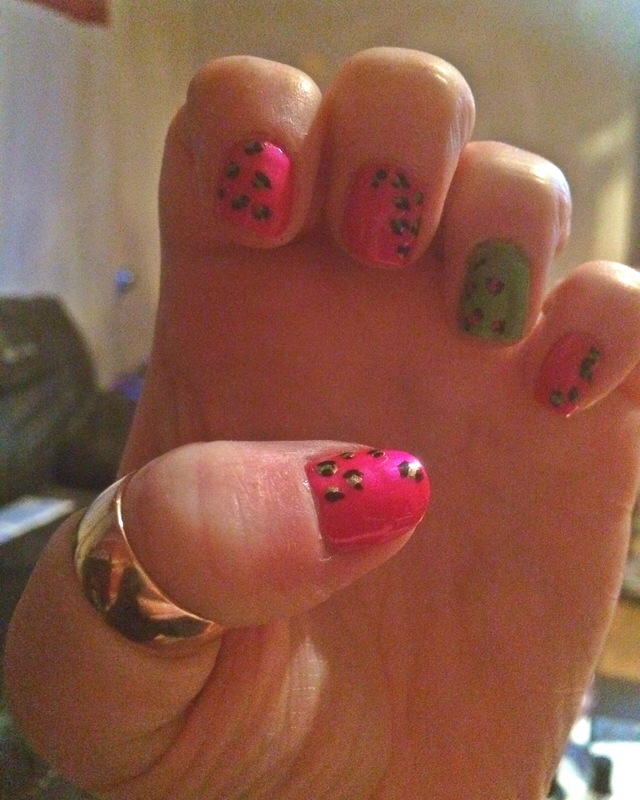 I am officially hooked on leopard print nails.